Simon, who is the son of a national public relations director for B’nai B’rith, was asked to speak at the General Assembly of Jewish Federations in New Orleans last November to speak about the good work the Federation is doing in post-Katrina NOLA (where “Treme” is filmed.) To the surprise of his audience, he took the Jewish community to task for not doing nearly enough to help non-Jewish residents there. At the point when they were doing that, tens of thousands of New Orleanians were still living elsewhere and couldn’t get home…The average income of a Jewish family in New Orleans was $180,000 a year. The average income in New Orleans, $30,000 a year. And you’re subsidizing the Jews? That hyper-segregation of the Jewish community from the problems in the world, that alienation from tragedy that isn’t tribal is one of the most disappointing things to me as a Jew. The preservation of the Jewish faith and people-hood, while an essential task, says nothing to any other nation beyond our own, especially if we preserve ourselves for no purpose other than the perpetuation of one branch of monotheistic thought. Surely, the world needs the Jewish mind and spirit for something more fundamental than that. Until there is a hard moment of real self-reflection here, younger and more secular Jews like myself—who were raised in the tradition and who still are proud of their Jewishness—are going to be increasingly abandoning organized Jewish giving and going directly at the actual problems. No, there is no barbed wire around West Baltimore. No, there is no political imperative to segregate them from the greater society, or ultimately, to murder them en masse. That would be a Holocaust at normal speed. Instead, we have simply participated—either tacitly or actively—in constructing a national economic model that throws away 10 to 15 percent of our poorest and most vulnerable citizens. There is no work for more than half the adult black males in Baltimore. Other than the drug corners, of course. Can anyone argue that the percentage of human destruction among adult males of color in these neighborhoods has not for generations approached the genocidal? This entry was posted in American Jewish Community, Genocide, Hurricane Katrina, New Orleans, Poverty on April 25, 2011 by Rabbi Brant Rosen. I am deeply moved by the direct clarity of David Simon’s statements. Thank you for transmitting them. Having been raised in a secular household and in an extended family that was social engaged in “directly” addressing the issues of human rights, civil rights, our Jewishness was never seen by me or those of my close friends from similar backgrounds as an end in itself. I valued my Jewish heritage then, and I treasure it even more now, but living that heritage meant carrying its values into the world and into a life of civic engagement. “Is it good for the Jews” was never the first question. 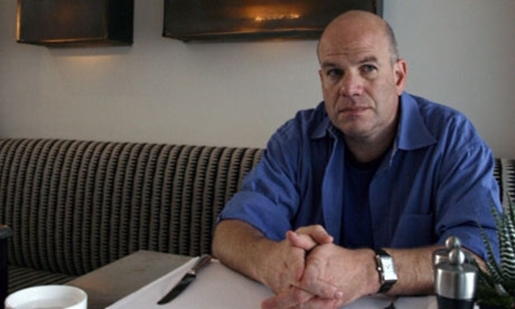 David Simon was born in 1960. That makes ‘younger Jews like myself’ Simon eligible for AARP membership. To find out what actual young Jews do, google ‘Kiryas Joel’ where the median age is 11. Not half a century. 11. In Kiryas Joel the giving is almost exclusively towards Jews. No Hollywood writers. No Reform, Reconstrucionists, Renewal, Conservative. Just actual young Orthodox Jews. And lots of them. Oh, now orthodox jews are secular? How about you learn to interpret simple text before bitching out about their content.